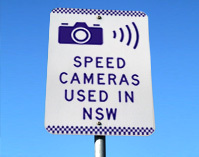 You can use this page to nominate a location where you think a speed camera should be in NSW. Follow the three easy steps below to have your say. You will need to complete all three steps for your nomination to be submitted. Once submitted, road safety experts will review your comments. The information you provide, together with crash data and other road safety information will help to prioritise future locations for speed cameras in NSW. The Centre for Road safety will not respond to every submission. If you would like to know more about speed cameras in NSW you can review our NSW Speed Camera Strategy, click here. Please enter your suggested location by street, suburb, postcode or city. Once the point is shown on the map, you can drag it to adjust its position. Thank you for your suggestion. Your comments will help by providing an ongoing source of information to help identify and prioritise locations for speed camera enforcement. In most cases, you won’t be contacted. If more information is required, you will be contacted using the details you have provided.